Let's face it, meatloaf is boring -- but oh so tasty. It is the only entree that goes well with soggy canned sweet peas and everyone and their mother has a meatloaf recipe. Allow The 99 Cent Chef to throw his whisk into the ring with his 99 cent version. 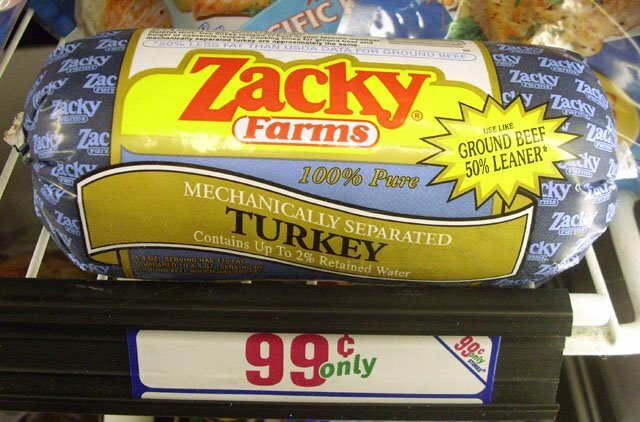 1 pound 99c ground turkey - okay to use more expensive ground beef. 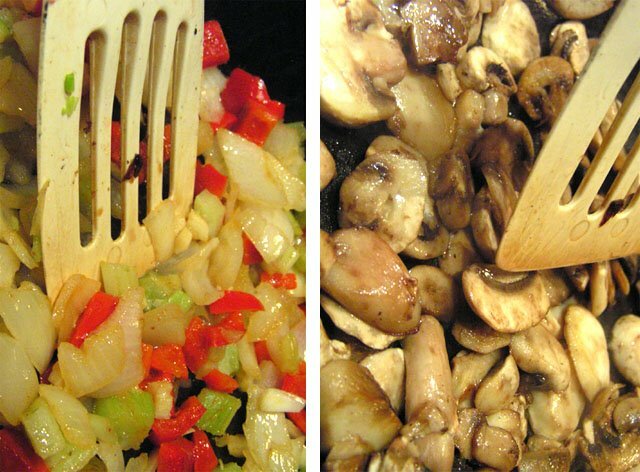 Saute onions, bell pepper and mushrooms in a tablespoon of oil until tender -- about 10 minutes (add garlic half way through sauteing.) 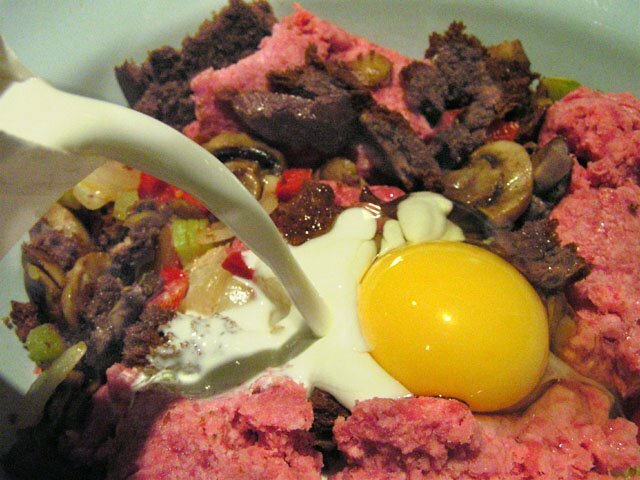 Add toasted bread and all meatloaf ingredients into a bowl and mix well. To a lightly oiled loaf pan add the meatloaf mix. For topping, stir together ketchup and soy sauce then spread over meatloaf. Bake uncovered for about 45 minutes at 375 degrees, depending how "thick" your meatloaf is (the Chef likes his molded similar to a bread loaf.) 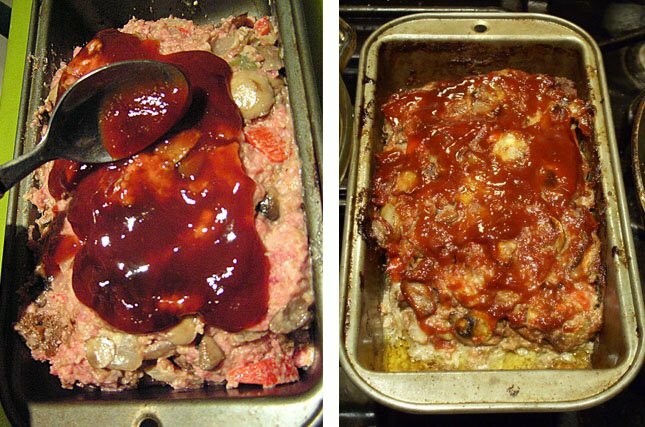 The meat loaf, when done, may have a lot of liquid in pan, just let it cool off for 5 minutes. 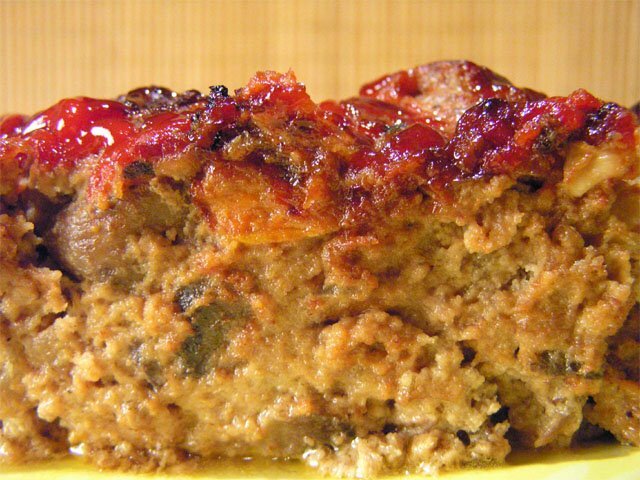 The meatloaf will reabsorb the juices like a sponge and create a divinely moist entree. Chef how about a recipe for the frozen tuna steaks the 99 cent stores always have availible? Hi moebius8. The Chef likes his fish sandwiches. A quick and tasty tuna steak recipe is to marinate fish in 99c Italian salad dressing and BBQ or broil the steak -- serve in 99c pita bread or a bun. Make a simple tartar sauce of mayo and sweet pickle relish; dress with lettuce, tomato and avacado. sounds good ill give that a try. The fam loved the meatloaf. Raves all around. They beat their chests and yelled meat, all the while eating a nifty amount of veggies in the loaf. Nice!